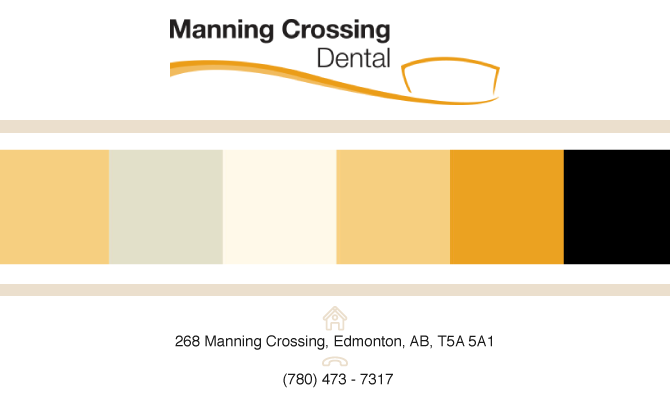 At Manning Crossing Dental Centre, our mission is to treat our patients as we would treat our own families. We are dedicated to providing the finest quality services available in a state-of-the-art environment, and are committed to patient satisfaction through careful attention to detail, and deep personal respect for each individual that enters our doors. We also recognize that everyone has a different approach to health, and that each individual should have their concerns addressed in the best possible way. Your health and comfort are our primary concern. By keeping up with the progress in modern dentistry and utilizing current techniques and equipment, we will provide you with the highest quality of care. Our examinations are comprehensive and we encourage your involvement and input on any conditions which may concern you, even if no discomfort is involved. Not all dental problems are accompanied by pain. You will find the staff expertly trained, with a willingness to listen to your concerns and answer your questions about upcoming treatment. Advances in technology and dental services have made all of us much more aware or our smiles. Most people today are keeping their own teeth well into their senior years, and there is a strong desire to have a younger, whiter smile. Teeth whitening, white fillings, porcelain or composite veneers, and orthodontics are all available to give the individual the opportunity to have a whiter, straighter, younger looking set of teeth.